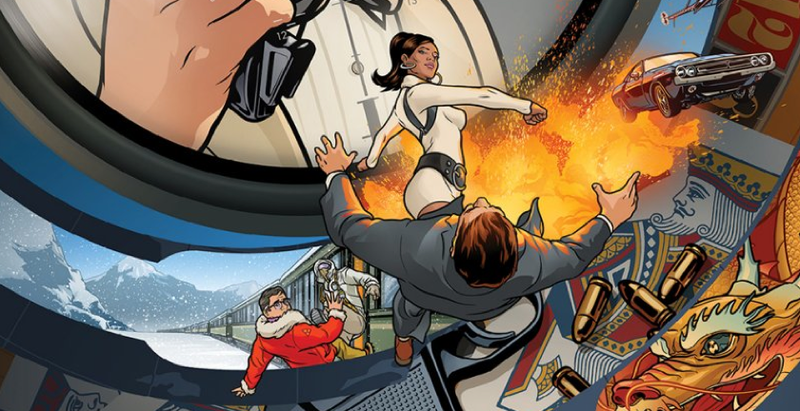 With just over a month until Archer returns for its Sixth Season – premiering on January 8th, 2015 – we just got a bunch of promos reminding us that the Season of Archer Vice is over. With many fans not finding it as funny as past season, the Agents are going back to being Agents; and with that comes a long and grueling recertification process by our favorite crackpot Doctor, Krieger. Though that’s not all that’s changing. As you can probably imagine, these Secret Agents will no longer be operating as ISIS in light of recent real world events. At first this was going to be something just dusted under the rug; but new scenes were actually added into the premier in order to reflect the change – including a scene of some movers rolling the old ISIS sign out of Mallory’s office. Though the rebranding of the team actually makes sense story wise now too since they are operating under the banner of the CIA. As for what the people behind the show will do with all the ISIS branded merchandise . . . good question. Regardless of name changes, I can’t wait for the new Season as we get to see the Agents back in their natural habitat. The old fashion mission dynamic is back and so too are the usual antics as we can tell from the videos. Personally, I thought Vice had some really funny moments; but let’s face it: when it comes to Super Spy-ing, there’s no team better . . . or at least no team that will make you laugh more. You can check out the rest of these hilarious Certification Promos at TheDailyBeast who first premiered them.